Sonic is like the wind and his favorite pastime is running. He is a drifter who lives as he wants and makes life a series of adventures. His weakness is that he cannot swim but he can run quickly over the surface of water. In fact, it is said he can run at the speed of sound. Enjoy this awesome flash homage to Sonic! 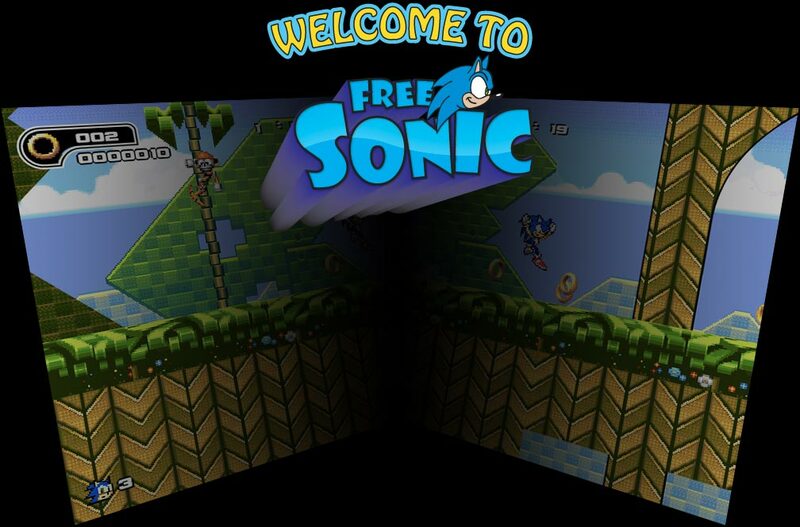 Play instantly at the best Sonic site on the web. Use the left and right arrow keys to move, use the space bar to jump. Get a quick start (a "spindash") by pressing down and the space bar at the same time. The object is to get to the far right of each screen, avoiding hazards but picking up rings. Go slowly or at lightning speed. This game requires a faster computer to run well.